Tribulations, My Third Collection, Is Out Today! 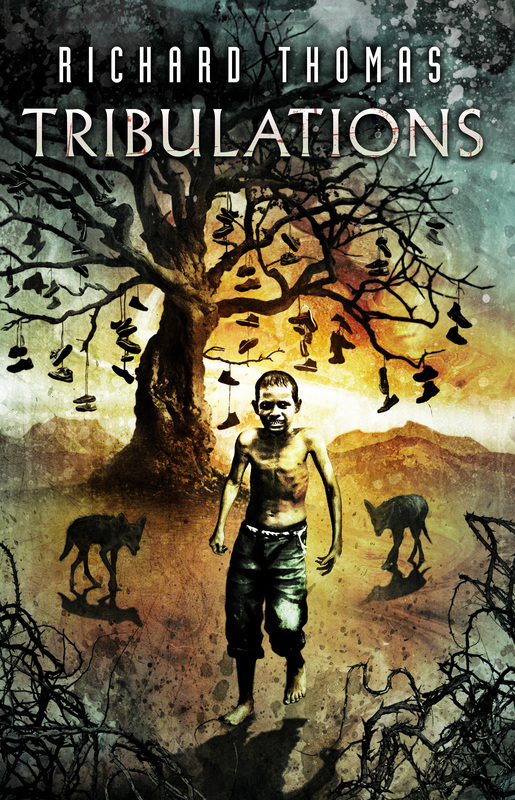 Thrilled that Tribulations, my third short story collection is finally out. Special thanks to Joe Mynhardt and Crystal Lake Publishing for all of their support and hard work. Thank you Stephen Graham Jones for the wonderful introduction, and Kristi DeMeester and Adam Cesare for the excellent blurbs, as well as Ben Baldwin and Luke Spooner for the amazing art. Honored and thrilled. “A good collection of horror stories will, at two in the morning, direct your car more to Motel 6 than Super 8, say. Just because you want to be in a room where someone’s left the light on for you. Tribulations does that for you, yes? Or, Richard Thomas is doing that for Motel 6. Either way, it’s delivering the creepy visuals, the prose that worms into your head and crawls around on the backside of your skull. And we ask for that, don’t we? We stand at the register and we lay down our money, fully expecting to not be able to turn the lights off that night. But that’s just what we expect from our horror. That’s the minimum horror has to do to satisfy. A really good collection of horror stories, then—like this one you’re holding in your hands—it does that and it provides something else, something even creepier and crawlier, something wormier and altogether less comfortable. Something you wouldn’t necessarily ask for. “Tribulations shows that Richard Thomas not only knows his craft, but excels in it. Readers owe Richard Thomas a letter to thank him for sharing his brilliant work, and Richard Thomas owes readers a letter to apologize for giving them more reasons to never turn off the light”—Cultured Vultures. In case you missed it, Curbside Splendor (and Dark House Press, which I run) were just named Chicago Magazine’s, “Best Indie Book Publisher.” Great article in the magazine, and online. Our three titles for the year, THE NEW BLACK, which I edited, ECHO LAKE by Letitia Trent, and AFTER THE PEOPLE LIGHTS HAVE GONE OFF by Stephen Graham Jones, are pictured in the story. Honored. Up in 2015 is EXIGENCIES, another neo-noir anthology I’m editing (all new stories), the first book in the Joshua City Trilogy, THE DOORS YOU MARK ARE YOUR OWN by Okla Eliott and Raul Clement, and Vile Men by Rebecca Jones-Howe. 2016 will give us Steve Himmer’s SCRATCH. More news to come. When I think back to when and where my writing career really started, about five years ago, one of the first names that pops into my head is Nik Korpon. He was there when I discovered what neo-noir was all about, and he’s been a brother-in-arms ever since. With the release of Bar Scars (Snubnose Press) he puts together a compelling collection of neo-noir fiction that is always entertaining, thought provoking, and unexpected. Since we both have collections coming out with Snubnose this month, I’m going to talk about Bar Scars, and he’s going to talk about my collection, Herniated Roots, over at his blog. So check out both posts, it’ll definitely be worth your time. SYNOPSIS: A man walks in on his girl with another guy. Or does he? COMMENTS: With a title like “This Will All End Well,” you know it can only be the opposite. What Nik does so well here is set you up, again and again. First, it’s the cheating wife, the politician tossing money on the floor, begging for forgiveness, caught in the act. Then, it’s the fact that she hasn’t been cheating at all, this is all a set up, they’re in on this caper together. But there’s more here. And that’s what I love about Nik’s work, it just goes deeper. Adding in his usual lyrical voice and ability to turn a phrase, set the stage, and you have a great opening story to his collection. SYNOPSIS: A man in a bar has an ongoing relationship with a young girl. COMMENTS: Tension is another thing that Nik does really well. I was nervous throughout this whole story. An underage girl, a man who is spending time with her when he shouldn’t, love that knows no rules. The violence fans out in every direction, and in the end, it’s a brutal story, one that cause you to shift loyalties several times. SYNOPSIS: A man prepares to propose to his girl, but an accident ruins everything. COMMENTS: Of course the title gives you the first clue, “Intersections.” This story moves along at nice clip—we see the seedy underbelly of Baltimore, a guy trying to get out from under a rock, no more working for Mr. Harry. And in one evening things take a dark turn. I thought I knew where this one was going, too, and the tension, that beautiful moment when you get a shock through your system, muttering to yourself, “No, no…it can’t be.” And then you think, he’s going to get away with it, it’s okay, you realize there is a tape, and there is proof now, and everything spins out of control. Nik is very adept at creating these situations, things get bad, and then they get worse, and then there’s no way out. SYNOPSIS: A confrontation in a bar does not go well. COMMENTS: In a very short period of time, two pages here, we get the whole story. It doesn’t feel like a set-up from the beginning, but at some point you know it’s going to go wrong. The last line is heavy. It’s nice to know that psychopaths have rules. SYNOPSIS: A man sneaks into an ex-girlfriend’s apartment to get something turns out bad. COMMENTS: The tension of not only sneaking back into an ex-girlfriend’s apartment but then her coming home with a guy? Man, that’s tough. Poetic at times this story, like much of Nik’s work, has layers, and we keep getting into it deeper and deeper until there’s no way out. I like that he leaves it open, the ending. We’re left with that anxiety of what to do. SYNOPSIS: Foggy memories and a strange hotel room lead to some very strange moments. SYNOPSIS: A fighter runs into a bit of bad luck. SYNOPSIS: When his mother’s memories and bruised love can’t be ignored any longer, our protagonist opts for a risky surgery. SYNOPSIS: Hanging out in a local bar you can only get yourself in trouble. This is a great collection of Nik’s work. Chuck Palahniuk said something like “Teach me something, make me laugh, and then break my heart.” And that’s what Nik does. Whether it’s educating me about Baltimore or basement surgeries, boxing or drug dealing, his stories always resonate with authority. He also has a way of turning a phrase, juxtaposing words in a way that is totally unique, his own language. And he also creates plots that aren’t what you expect, layers and turns that keep you guessing. He’s one of my favorite neo-noir authors going, and if you haven’t read his work before, this is a great place to start. Also, keep an eye out for a future project we’re doing together entitled Four Corners, a series of four novellas that Nik and I, along with Caleb J. Ross and Axel Taiari have written and are currently shopping. It’s some of his best work to date, I think. You can find more of his work on Amazon, of course. I suggest Stay God as well as By the Nails of the Warpriest. READ HIS COMMENTS ON MY COLLECTION, HERNIATED ROOTS, HERE.